Harness the power and innovation of the Vermeer high-capacity wheel rake in an even larger package with the VR2040 High-Capacity Wheel Rake. 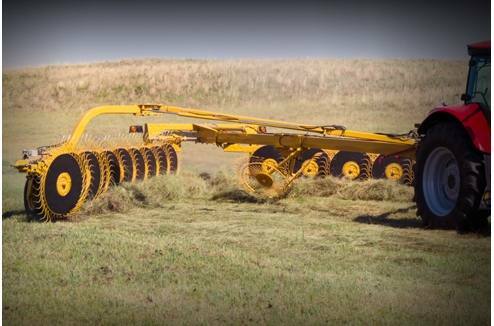 A 40' (12.19 m) raking width and unique wheel suspension system offer maximum efficiency and raking power. 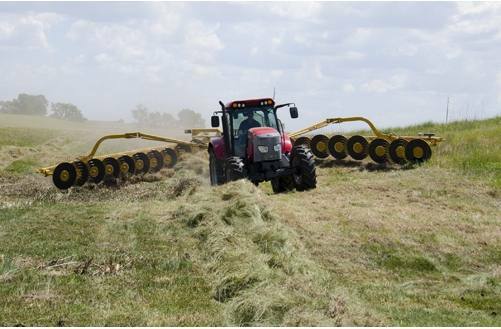 Cover more acres in less time - and with minimal maintenance - with the rugged VR2040 High-Capacity Wheel Rake. 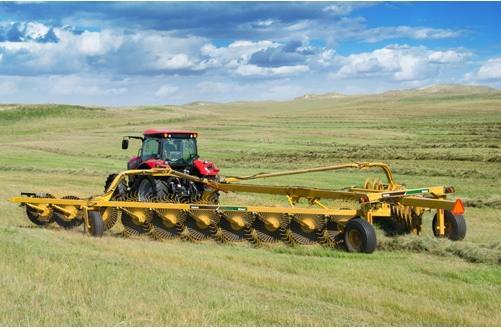 Unique rake design featuring one-piece rake arms - in conjunction with hydraulic suspension on each rake wheel - provides superior rake flexibility with less maintenance than similar-sized rakes that require a pivot joint and additional caster wheel in the middle of the rake arm. Superior vertical rake arm travel and ground contour following with the ability to flex 40" (101.6 cm) down or 66" (167.6 cm) up, equating to a range of motion of over 8' (2.4 m).